This gorgeous, eye- catching Christmas ornament is a Three Dames Dreamin' original design. 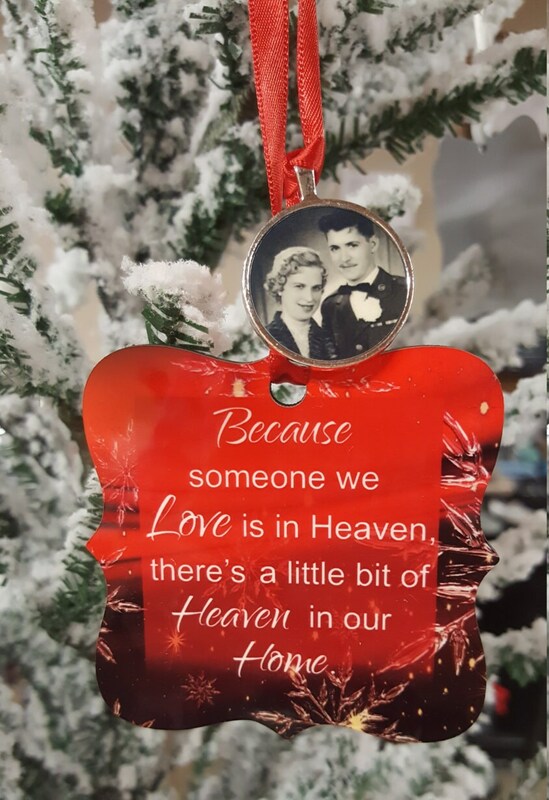 Because someone we love is in heaven, there's a little bit of heaven in our home is the heart of this custom ornament. 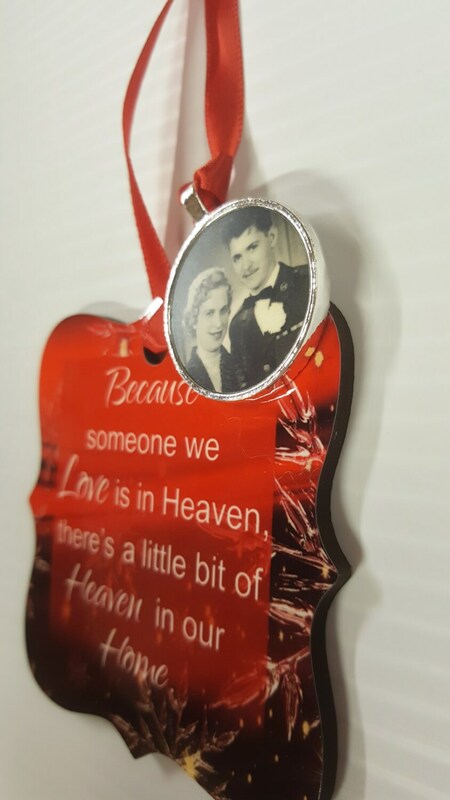 This is a one-sided photo ornament which is perfect for your Christmas decorating needs. We all have loved ones that we have lost that left a whole in our hearts and lives. 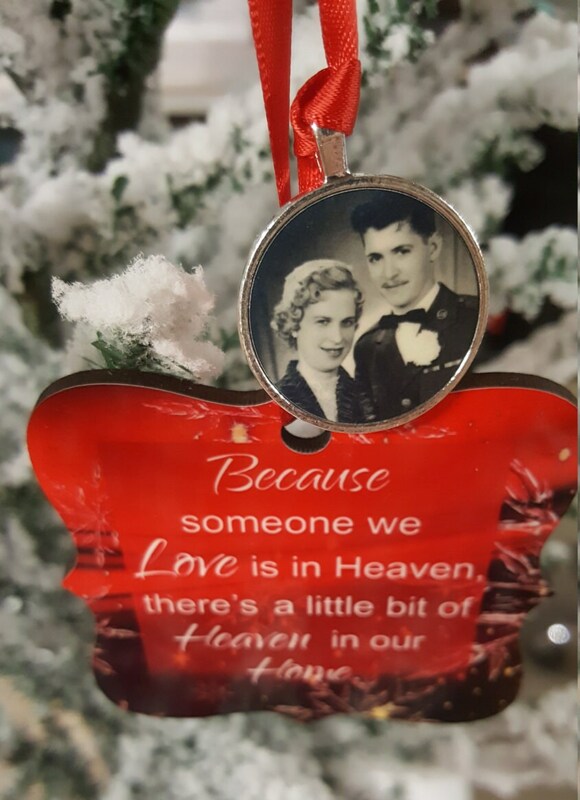 These Memorial ornaments are a beautiful way to remember those who have gone on before us but who left a legacy of love. 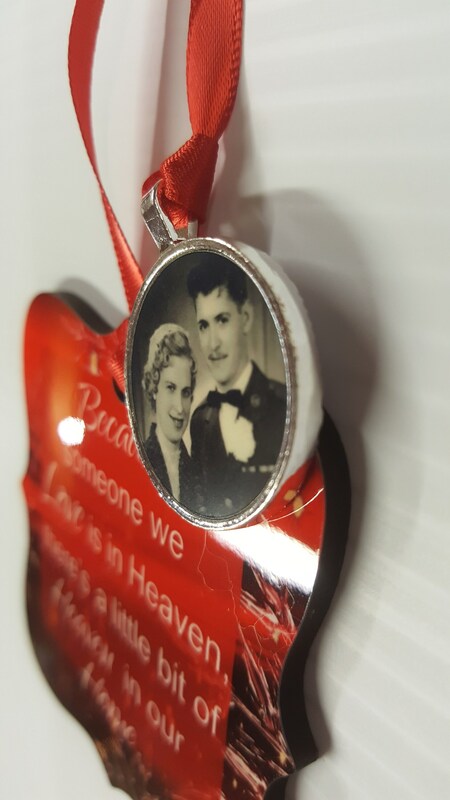 This ornament includes a single-side hardboard ornament with a red satin ribbon and a round charm that will feature your loved one's photo. Every now and then something truly lovely and unique comes along. 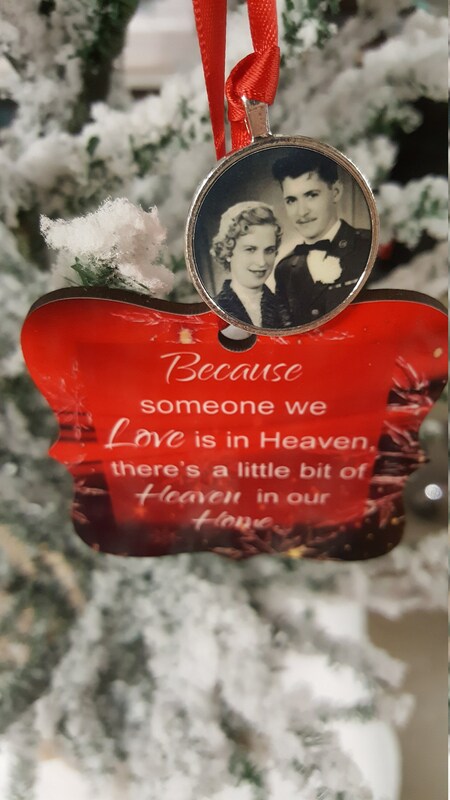 We think this lovely ornament will be treasured for many years to come. 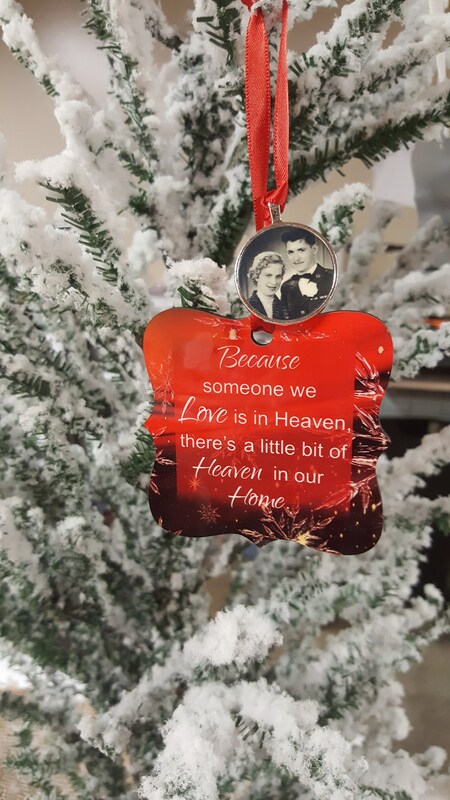 Why not buy one for your tree and one for each of your loved ones who will truly appreciate such a treasured keepsake? 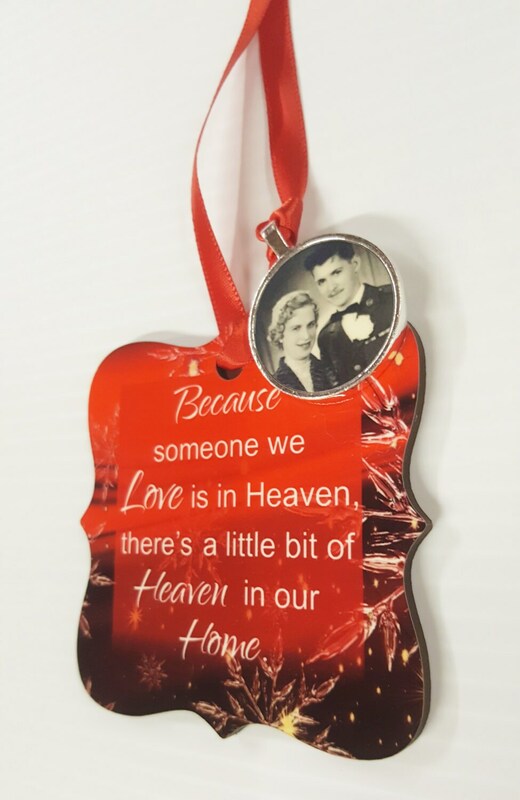 It couldn't be easier to order your custom photo ornament. 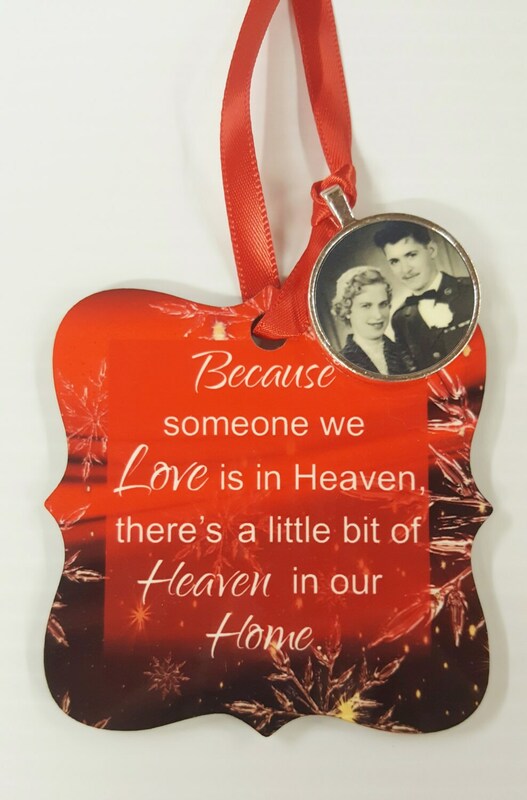 When you order this memorial ornament, simply send a convo with the photo you wish to use in the ornament design.